One of the best interior design ideas is using black trim as a contrast. 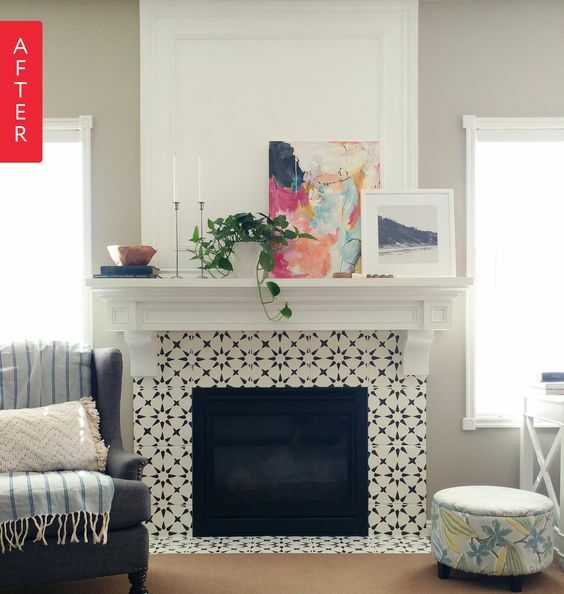 This one thing can change your home decor look completely. 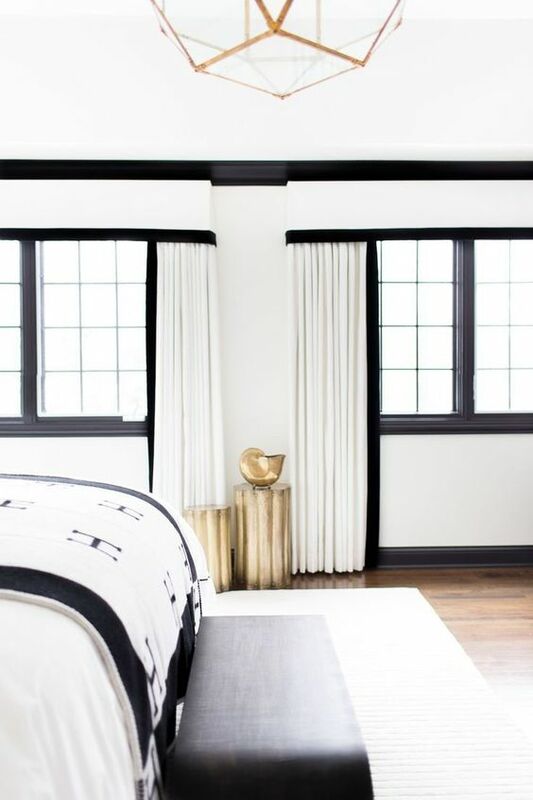 Using black as a strong contrast in otherwise neutral rooms is a great tool to create clean lines and a crisp classic look, no matter what style your home or decor. Best of all, it's not a complete makeover. Its more like adding frosting on a cake. Refining your look. 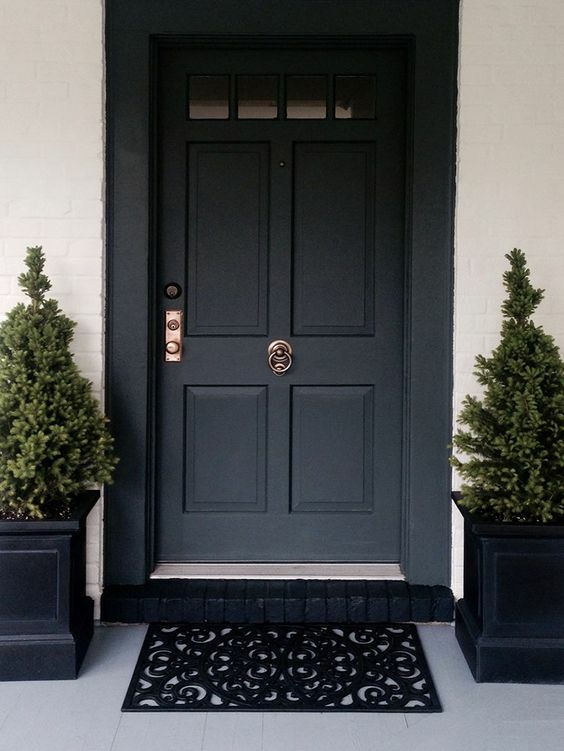 A strong exterior black front door can look very sophisticated and matches most house colors. It instantly updates the exterior of your home and gives you added curb appeal. This is an elegant look. You can use water oil based paint or dark metallic paints if you are looking for something more modern. But beyond the front door, black wallpaper, painted black furniture, lighting or baseboards can all add something classic to your rooms. A room with black wallpaper on all four walls or a room with all matching black furniture is too heavy to look at every day. Finding a balance and a look you are happy to live with for a few years, might take a little research. 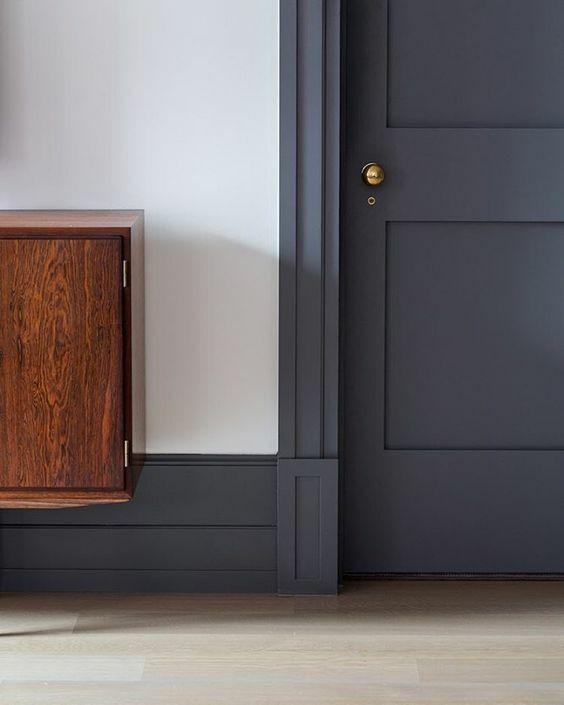 Black baseboards were once a startling departure from a regular builder's standard finishes but is now more readily available. If you are doing it yourself, in most cases all you need is black paint. The effect is a home decor look that appears customized and tailored. I like to think of using trim like 'ribbon'. You need enough to contrast other colors or features of the room, but not too much that the room feels weighed down. 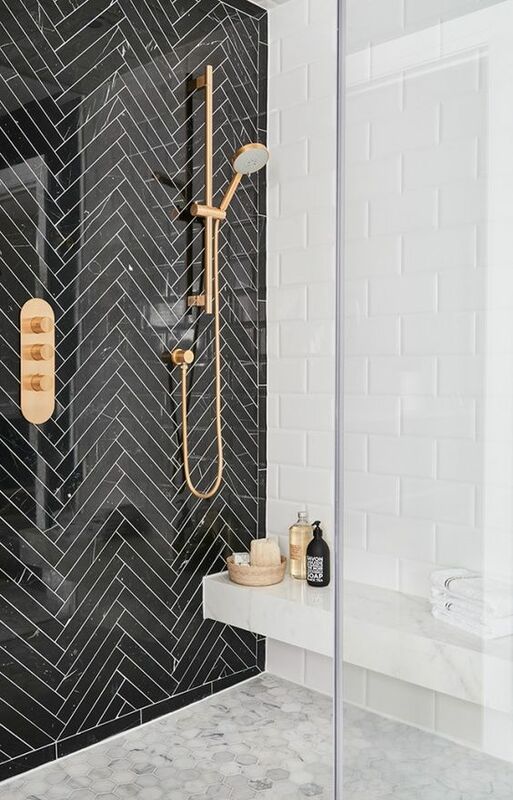 You might settle for a black front door or stair treads, a black stone kitchen bench or a black tile floor in the bathroom. 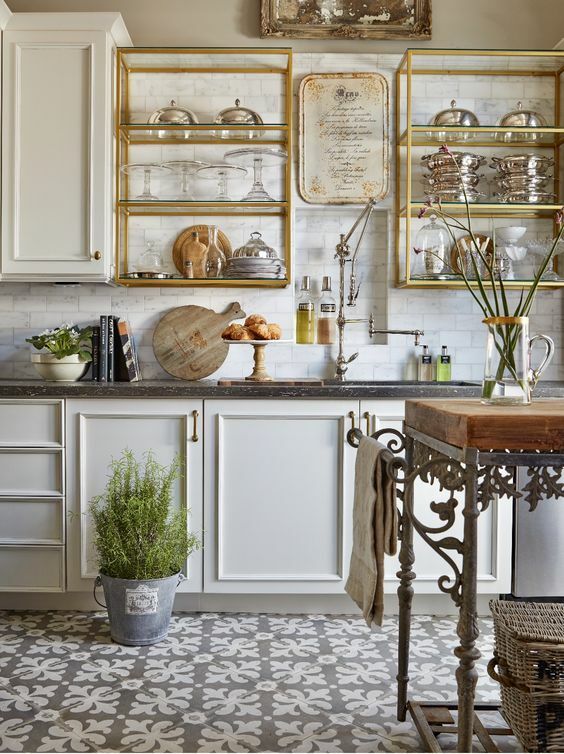 To get chic without gloom here are some ideas you can use for a sophisticated look in your home. Most of these interior design ideas use black paint which you can add to almost anything, from furniture to stair treads. You can use different textures and materials like stone, tiles, wallpaper and fabric to layer the theme into your decor. 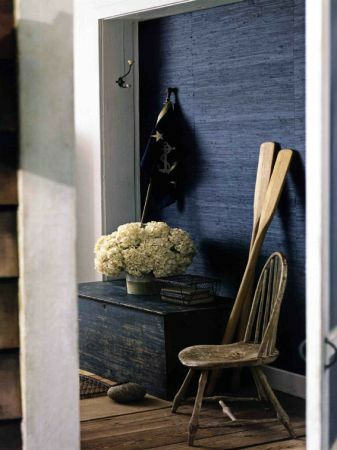 This anchors your room and creates a focal point. 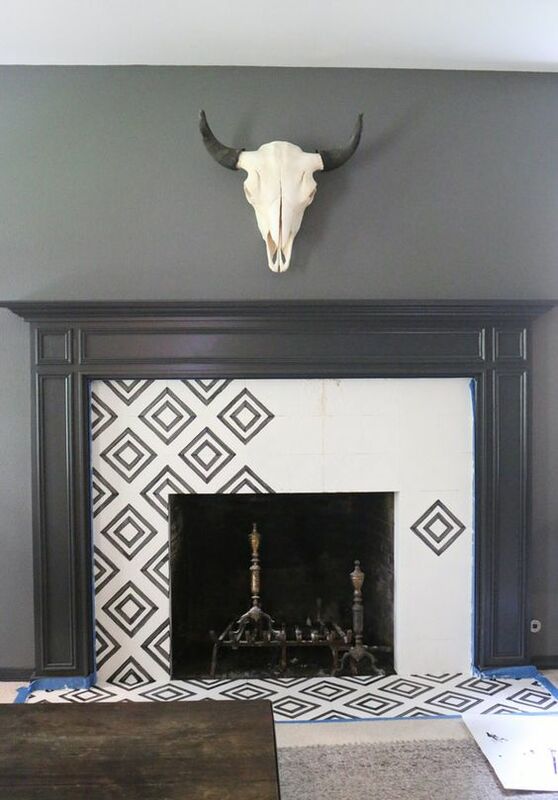 You can go beyond a black mantle and hearth to include the wall but an equally dramatic look is by stenciling soft black in a Moroccan tile or hexagon motif. A lot will depend on the size of your room, but it draws your eye to create a focus, and helps other colors in the space to pop. 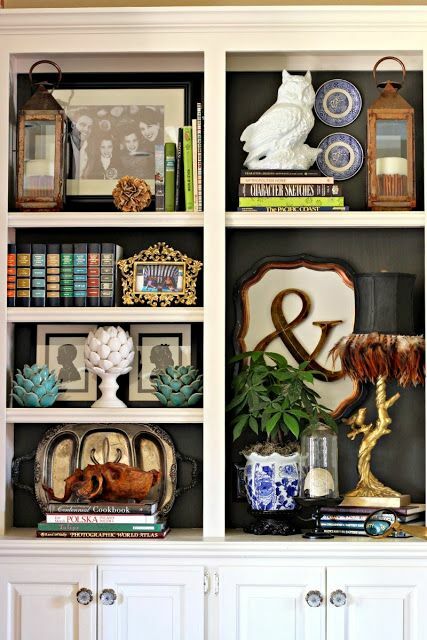 A large black bookcase can create a focal point, a visual weight in a room where none exists. An instant feature that can be styled to store and display your treasures. 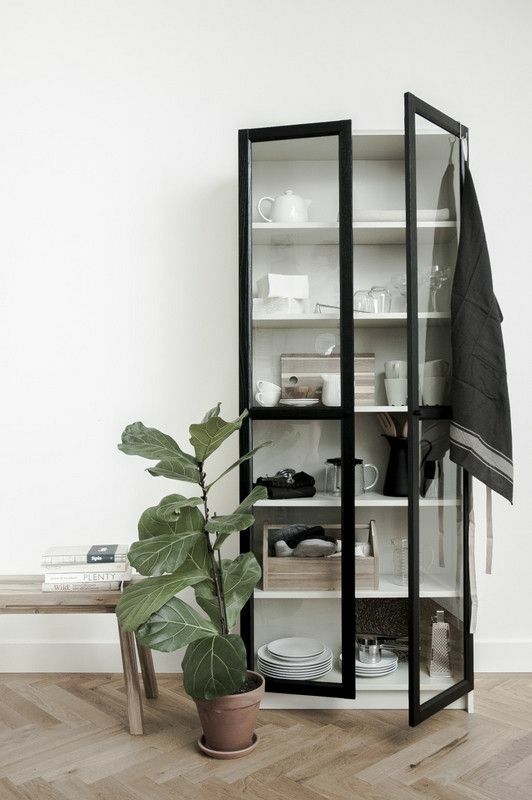 If this seems like too much, consider adding black framed doors to a bookcase, like this Ikea hack below on a white Billy bookcase. Or you can paint the inside of the bookcase or shelves in black. It's a great way to highlight objects. 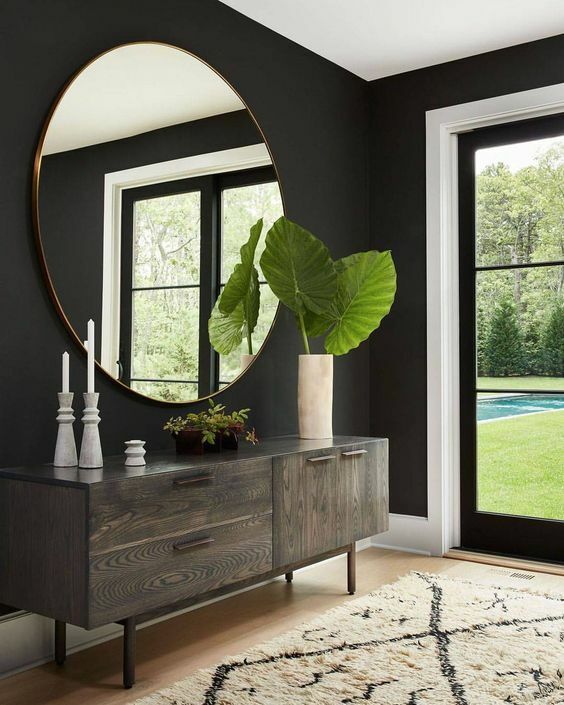 Using a black framed door creates drama and contrast for other colors to pop. Your front door welcomes all who visit and is the perfect background for wreaths. 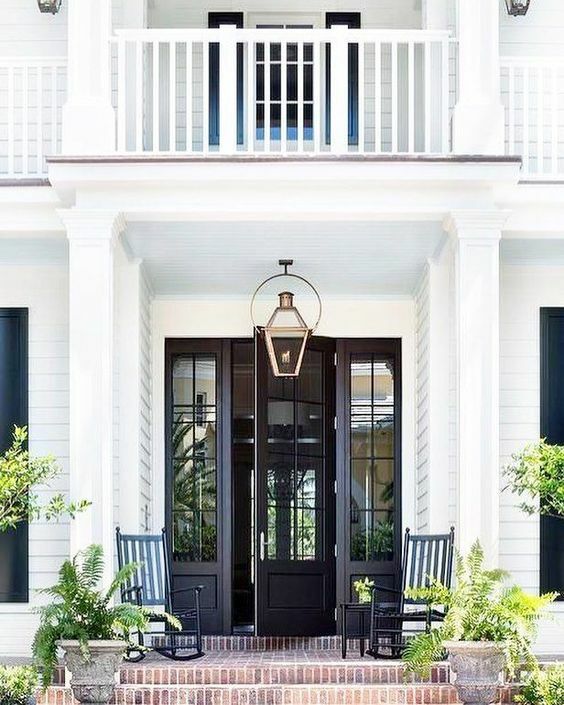 For the best black front door use a high-gloss oil paint unless you prefer a matte look, then you should use a latex paint. Apply it with a sponge roller for a smooth finish. Latex will give you a lower sheen - even if you apply a glossy polyurethane on top, you won't get the same depth of color as using oil paint. 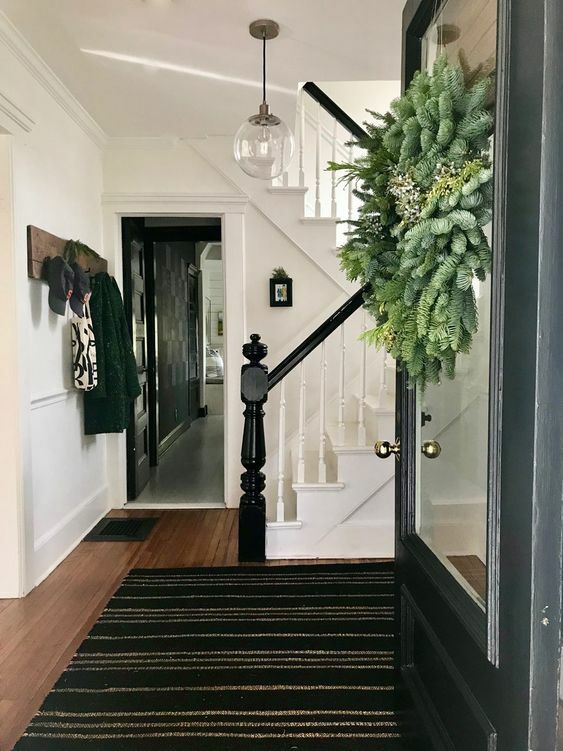 An entry with an internal black front door and banister are great accents to a mostly white entry or hallway. This is a timeless look that always looks modern and fresh. These work to frame a room. Don't worry if you have light or gold wooden floors. The contrast will lighten the room, not darken it. It will outline the room and make it look sharper. Expensive but classic. 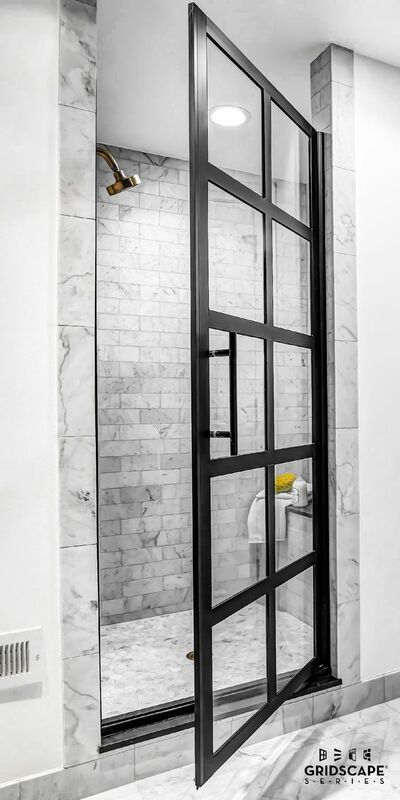 Black marble never goes out of fashion but there are many other materials you can use to get the same classic look. 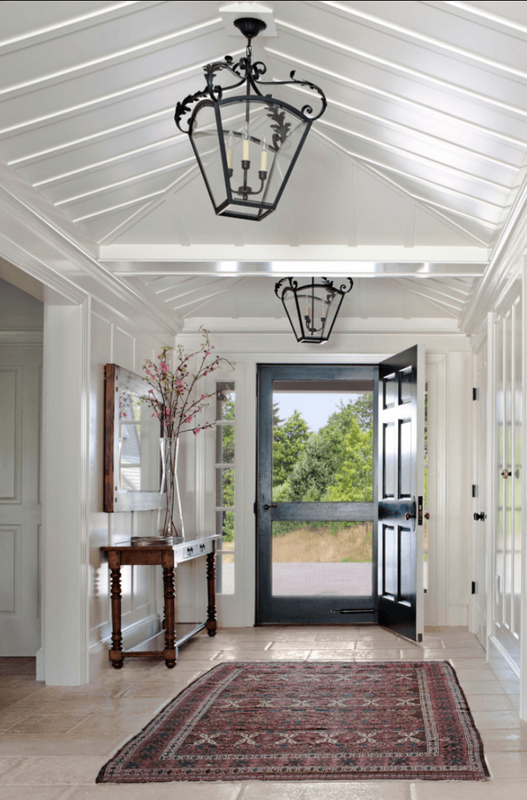 Unlike your front door, the ceiling is best painted a flat black, not glossy, so the ceiling disappears. Add a great chandelier or pendant light and you increase the height of your ceilings. Not for the faint-hearted, black walls or a dark shade of gray create make a huge impact. The trick is to contrast black with lighter colors, for balance and contrast. For a softer effect, use a flat paint. This look is highly dramatic. It frames the room and needs little more to make a statement. This is a low-commitment way of introducing black into your room. You can quickly create this look by adding a couple coats of paint to your furniture piece. You can use latex, milk paint or chalk paint. Leave it high shine, matte or distress. 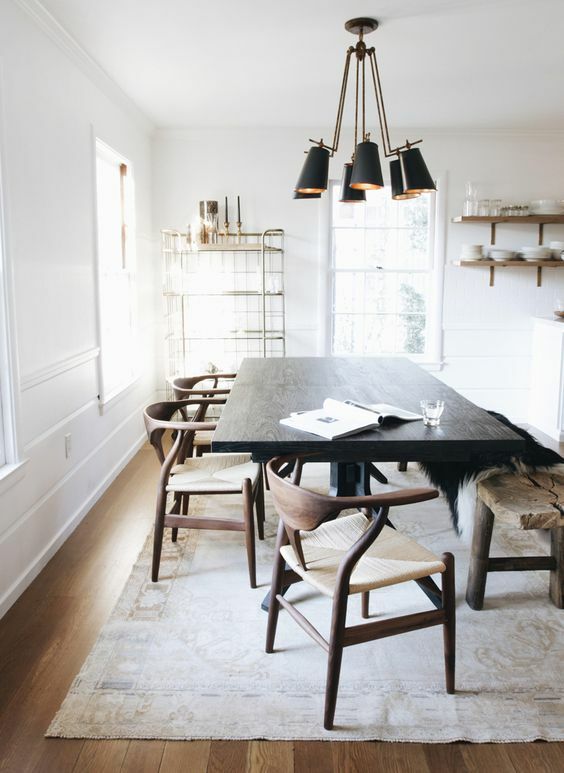 Mixing different woods with chairs one color and your table another, work well and help to break up too much black in any one space. 12. Black Wallpaper or DIY Paint? There are many great effects you can create with wallpaper or paint. 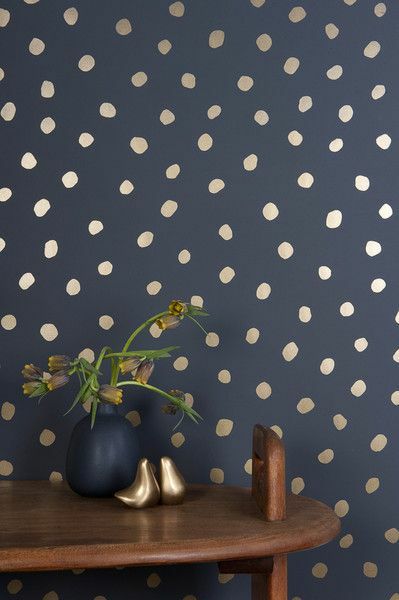 If you decide to DIY paint, the effect is the same as expensive black wallpaper. You investment is paint and time. Black wallpaper can look amazing. It is also easier than repairing or covering less than perfect walls with paint. Imperfections are often exaggerated with glossy paint. Black is a great addition to any space. It sets a mood, anchor a room and creates drama. 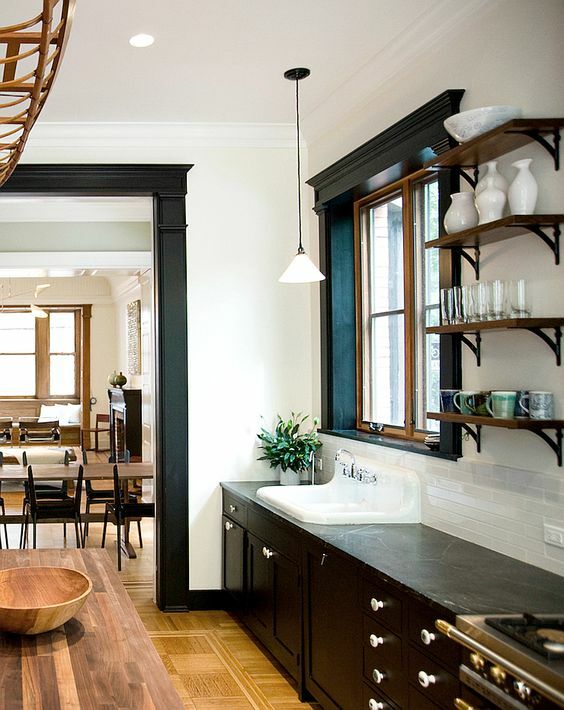 These interior design ideas using black as an accent trim perfect for a classic and tailored look never dates. Decorating my home has become a great source of pleasure over the years, but I must say it is also a challenge at times! You DO keep me "thriving"!!! Just wanted you to know that and take the time to say: "good job"! so good to hear from you and I am so pleased to get your email!! Thanks for taking the time to write... Please let me know if there is something you would like me to write about. 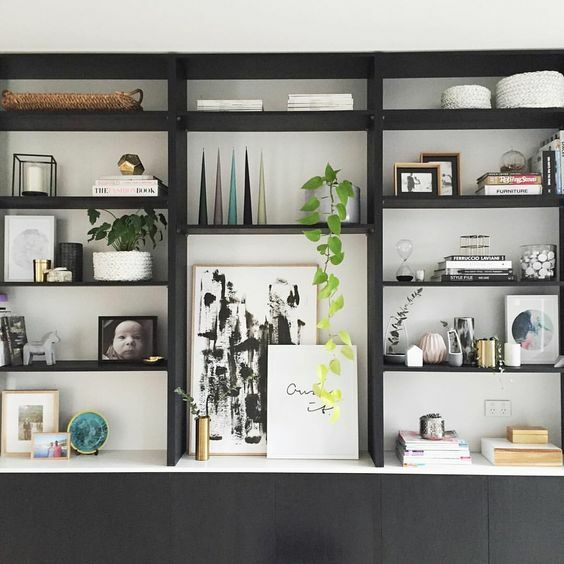 Great Article, i do love using black in my house. It represents the element of Water in Feng Shui and is great for balancing other elements! Use in rooms with plants to get this harmony, the green splashed against the black looks awesome too!